The product came out great! 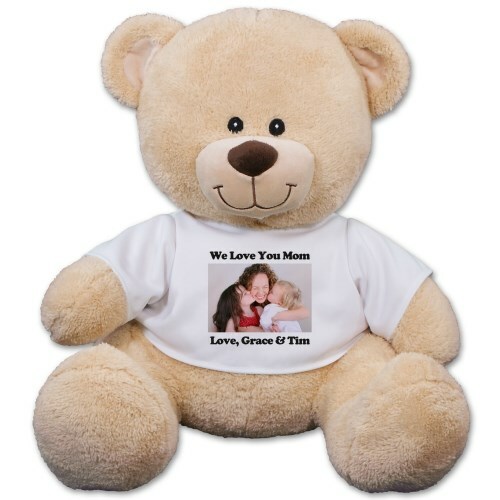 Personalized Sherman Teddy Bear features the option of creating your own custom message and photo gift. Free personalization. Select the text color for line 1 and line 2. Describe your digital photo for our production purposes. This text is not displayed on the t-shirt. Select the View Your Personalization button. This will generate a live preview of your gift which allows you to edit the digital photo supplied.